Join us for the opening broadcast of seven holy days commemorating and deepening our relationship with the Messenger, the Angelic Presence and the Source of the New Message from God. Watch LIVE on YouTube or on the home page of the New Message – No registration required. Go to Time Zone Converter to find your local time of the Broadcast. 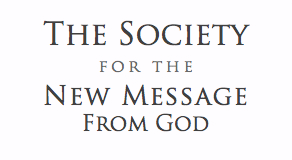 For those who are visiting or living in Boulder, CO, USA please join us at the Sanctuary of The New Message. Please RSVP as to which which nights you are attending. Space is limited. A New Message from God is in the world. A New Messenger has been sent. The seven day Messenger Vigil commemorates the man sent into the world to receive The New Message from God. Across a long journey of many decades, Marshall Vian Summers has brought to us a revelation of vast scope, the largest body of revelation ever to be received in recorded history – over 9000 pages of divine wisdom, prophecy and a new spiritual practice to guide humanity into the next chapter of evolution and emergence. Just as divine revelation has always occurred, Marshall is receiving a gift from God to be given to the world. This is no easy task. Courage, forebearence, stability and humility this has required of him. He traverses the vast mountains of revelation and returns to us with the recordings of his encounter with the Voice of Revelation. These are a gift not only for us, but for the whole world. Let us now take it upon ourselves to travel the distance to get to him. Let us “make it” to him as well. And let us be with him. Let us not leave him alone with this vast responsibility to bring a New Message from God to the world. For this is our time too. Over the seven days of The Messenger Vigil, we will have the opportunity to explore the various facets of the Messenger’s identity, source, life journey and future destiny. Like peering into the multi-faceted heart of a diamond, these sacred days are given to us to penetrate the mystery of our relationship with this man, the first Greater Community Messenger sent to Earth. The emergence of Knowledge is exemplified in the life of this man, Marshall Vian Summers who, beyond his own understanding, was prepared by the Angelic Presence to bring a divine message to humanity. In his 64 years in manifest life, he discovered the greater Knowledge he carried within himself and with it the memory of those who sent him and the mission for which he had so long been prepared. He allowed this Knowledge to overtake his life and guide him in his preparation, leading him into a sacred relationship with the unseen Angelic Assembly, who initiated him into his role as Messenger. Even today, this community of the Unseen Ones continue to guide their Messenger in the expression of a great and mysterious ministry, in motion not only on Earth but throughout time and across the Greater Community of the Universe. 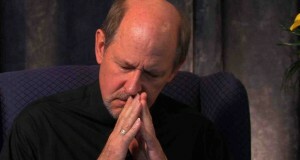 Marshall Vian Summers, like the Messengers before him, is a symbol of the emergence of Knowledge within the individual. Therefore, in this seven day vigil, let us each endeavor to recall, beyond our earthly memory, the greater Knowledge and purpose for which we have come into the world. Let these seven days be a time when we see clearly the Messenger who has been sent to us. Let the seven days of the Vigil be a time when we honor this purpose and redouble our commitment to accept it, to experience it and to follow it, entering a greater life of contribution and fulfillment. Let these seven days then be a time for us to prepare to serve a world in need alongside this humble man, this Greater Community Messenger sent here from God to bring unending love to the world.